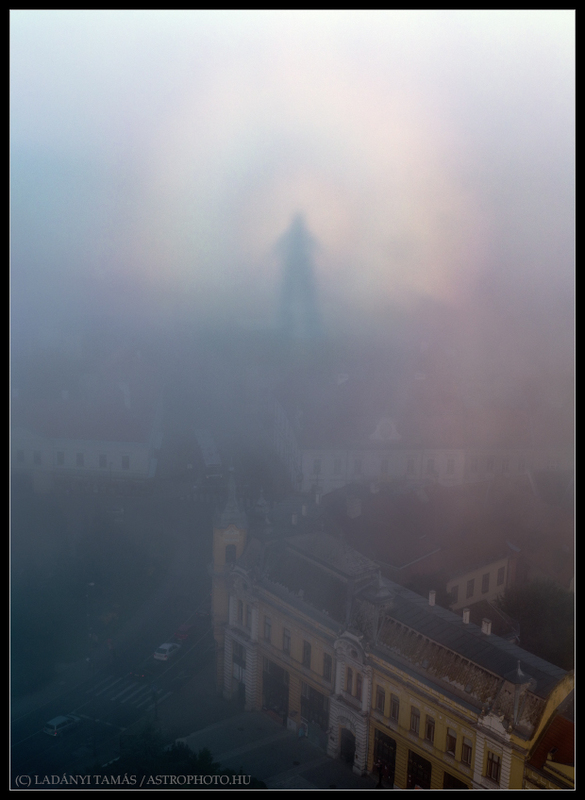 Explanation: The city of Veszprem, Hungary was only briefly haunted by this mysterious spectre. 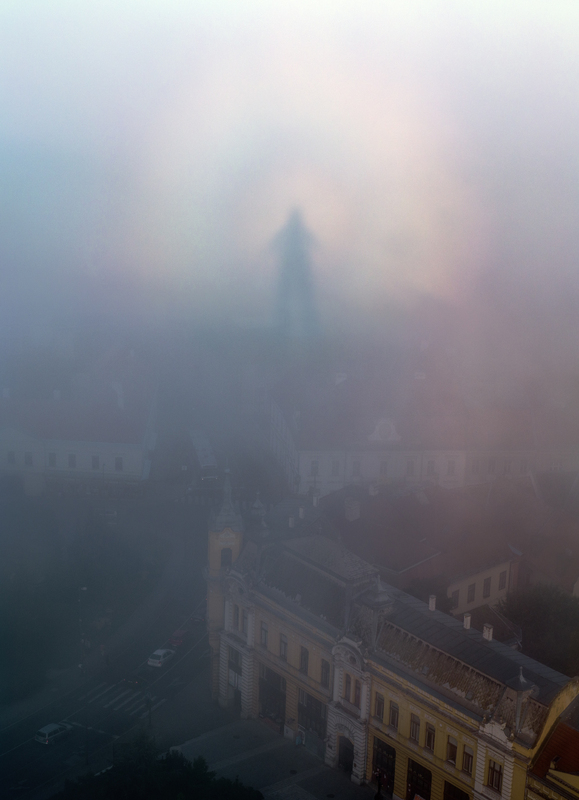 On the morning of August 11, its monstrous form hovered in the mist above municipal buildings near the town center. A clue to its true identity is offered by the photographer, though, who reports he took the picture from the top of a twenty story building with the rising Sun directly at his back. That special geometry suggests this is an example of an atmospheric phenomenon called the Glory or sometimes "the Spectre of the Brocken". Also seen from mountain tops and airplanes when looking opposite the Sun, the dramatic apparition is the observer's shadow on clouds or fog, the small droplets of water scattering light back towards the Sun through complex internal reflections. Careful night sky watchers can also encounter this spectre's analog in astronomy, a brightening of zodiacal light opposite the Sun known as the gegenschein.